They’re known for their red carpet flair. And on Tuesday, Heidi Klum and Tyra Banks did it again, as the pair dazzled in a pair of stunning gowns for the quarterfinals week three of America’s Got Talent. Heidi wore a gold and black dress for the pre-show sashay down the red carpet. Around her slender waist the mother of four wore a black belt, and on her feet she slid a simple pair of black heels. The ex-wife of singer Seal wore her straight blonde tresses untied and with a center part. Meanwhile, the show’s host Tyra Banks was a vision in hot pink and wore unmissable rings on her fingers. Her brunette tresses were worn loose and with bangs swept to one side. The America’s Next Top Model host matched her lip liner to her dress and her piercing eyes were highlighted with a dash of smokey eye. Former Spice Girl Mel B meanwhile wore a pink dress with sequined elements that popped under the bright lights. A high thigh split showed off the mother-of-three’s shapely legs. Mel B – whose full name is Melanie Janine Brown- wore her wavy ombre locks loose and cascading down her shoulders. Mel recently revealed that she turned to rehab after she was diagnosed with Post-Traumatic Stress Disorder following her father’s cancer diagnosis nine years ago and leant on therapy more when her ‘intense’ relationship with her now-ex-husband Stephen Belafonte broke down last year. 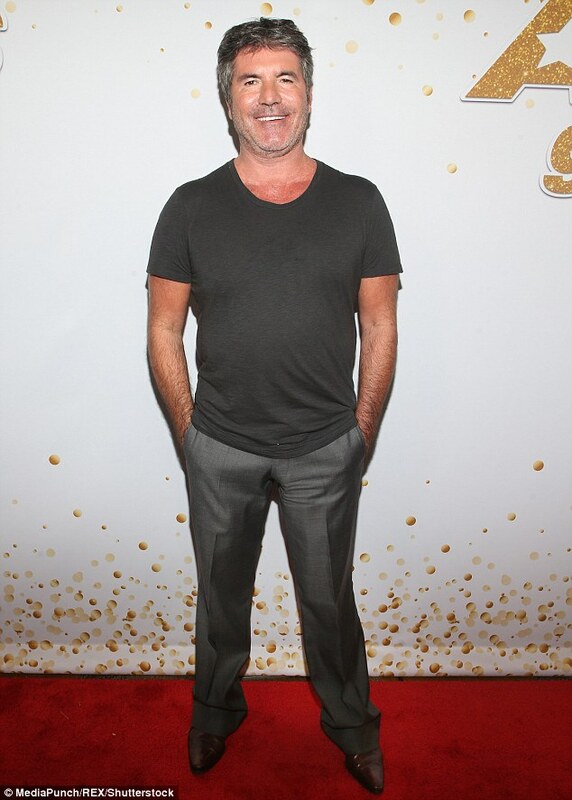 Mel’s boss Simon Cowell admitted he has ‘a lot of respect’ for the singer because she leaves her personal issues at the door when she arrives on set for the show. He explained: ‘Mel’s a trooper… she comes to the show, leaves everything behind, focuses on the contestant. That is a true professional. 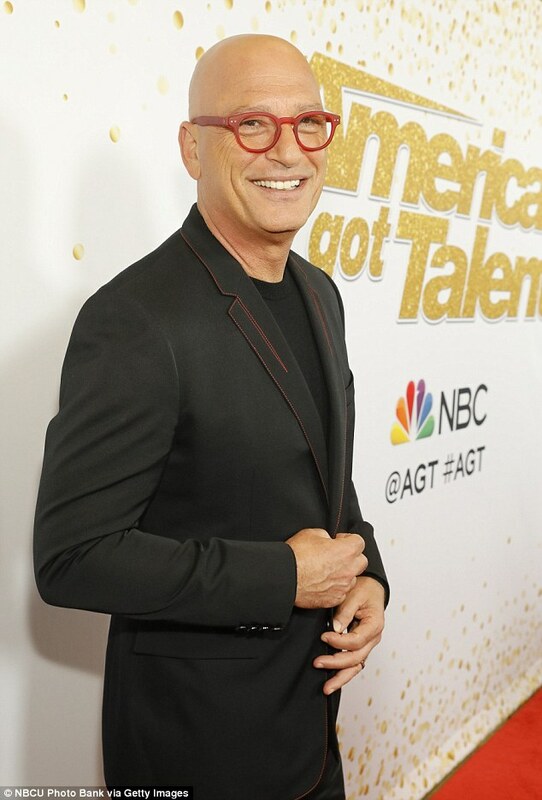 Her other co-judge Howie Mandel is also amazed by the brunette beauty’s professionalism at work. He added: ‘She’s a very strong, wonderful lady whose battled what a lot of people battle. I’m just amazed at how she can show up and be a true professional and just a wonderful person who is entertaining and I’m thrilled and I feel lucky that I get to sit beside her and that America gets to enjoy her and watch her and listen to her.